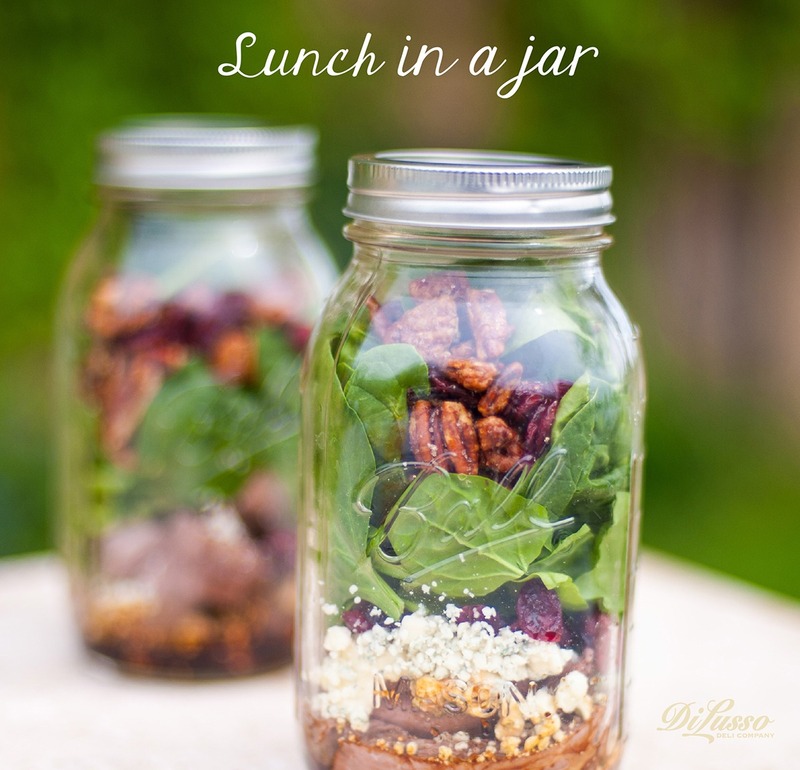 Try this: layer balsamic vinaigrette, DI LUSSO® roast beef, Gorgonzola cheese, dried cranberries, candied pecans and spinach in a jar. The balsamic dressing will marinate the roast beef. Yum!